Yutaka Hula Halau! This is our 7th participation from the “land of sunshine”, Kurashiki, a city located at the southern part of Okayama. Although this will be the very first stage performance for many of our team members, we will be enjoying the Hawaii’s Pacific Harmony. We are Yutaka Hula Halau, from the historic city of Kurashiki in Okayama Prefecture, a place known for its rows of beautiful white walled merchant houses and the Ohara Museum of Art, home of a fine western art collection from all over the world. This is our sixth time to participate in the Honolulu Festival. We hope you enjoy our performance. We are Yutaka Hula Halau, from the historic city of Kurashiki in Okayama Prefecture, a place known for its rows of beautiful white walled merchant houses and the Ohara Museum of Art, home of a fine western art collection from all over the world. This is our fifth time to participate in the Honolulu Festival. We hope you enjoy our performance. We are from Kurashiki City in Okayama Prefecture. Normally we are busy doing volunteer work at the facilities for senior citizens as well as promoting cultural exchange within our region. And when we are practicing our hula in the classroom, we enjoy being healthy and having the true spirit of aloha in our hearts. 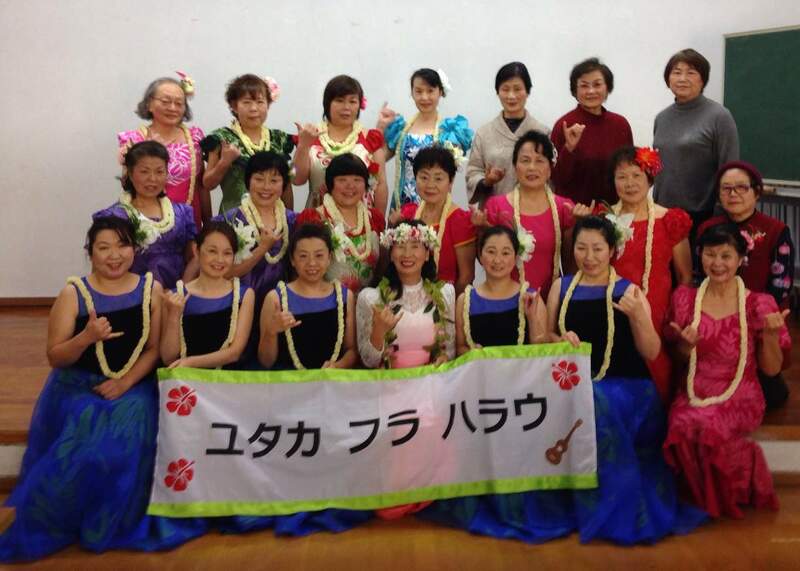 We are a hula halau from Kurashiki city, Okayama where the Great Seto Bridge is located nearby. Two years has passed since we started to study hula and we are still learning. Our motto is to dance hula with bright smile and high spirit. In Hawaii, the sacred ground of hula, we would like to dance hula wishing for everybody’s happiness and longevity while feeling Hawaiian breezes on our skin and Aloha spirit in our minds.